We look forward to hearing from you and we will get back to you as soon as possible. 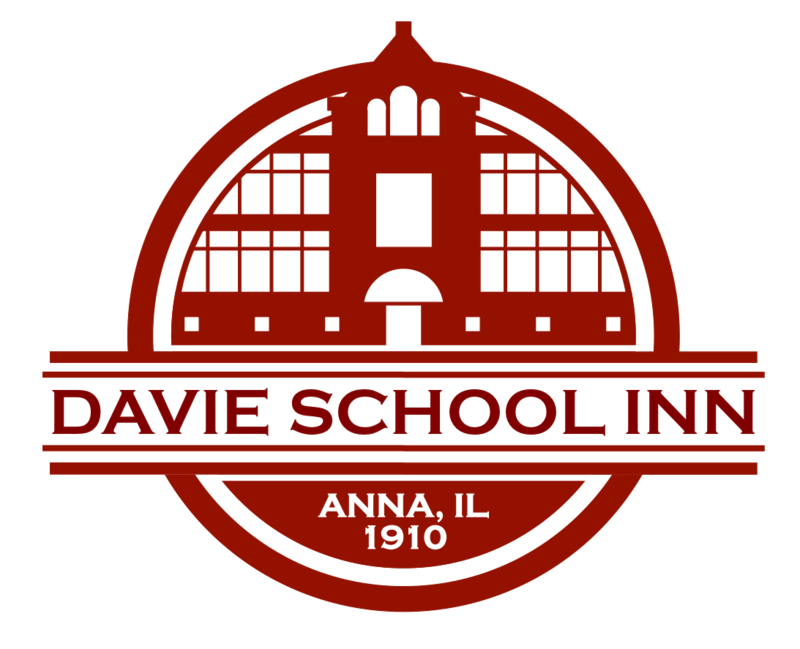 The Davie School Inn is an historic building and does not offer elevator service. The Purple and Gold suites are accessible from the ground level and offer outdoor patios. All other suites require access via stairs and do not have outdoor access. Please note: effective July 1st 2018, the base rate for the Green, Red, Yellow and Brown Suites is $145 for the first two guests PLUS $10 for each additional guest irrespective of age up to the maximum capacity of the room. To avoid any confusion and extra charges at check-in, please ensure the guest count is correct when placing your reservation. Each suite is set up to accommodate a certain number of guests. The maximum capacity for the Blue, Orange, Black, White, Purple, Pink and Gold suites is two persons. The Red suite has a capacity of three persons. The Brown, Green and Yellow suites have a capacity of four persons. The Davie School Inn cannot allow any extra guests beyond the maximum room capacity. For the safety and comfort of all guests: Please make arrangements with Lyle/Tammy prior to inviting any visitors to the inn, including the gym, deck and grounds. Well behaved children are welcome in the Green, Red and Yellow suites. Please, no children on the top floor. Children under 14 MUST BE accompanied by an adult AT ALL TIMES throughout the inn, gym, deck or grounds. Parents or guardians are responsible to ensure that children are not running, climbing, jumping, or being disruptive in any way that will affect other guests, cause harm to themselves/others, or damage inn property. PLEASE, NO self guided tours. We will be glad to conduct a tour of the inn upon request, when possible. A hearty breakfast of eggs, fresh fruit, juice, breakfast meat, accompanied with sides such as potatoes, french toast, pancakes, biscuits and gravy, etc., will be served in your suite between 7:30 am and 9:30 am. Please inform us if you have special dietary requirements. Gluten free, low-carb, non-dairy, and vegetarian alternatives are available. American Express, MasterCard, Visa and Discover Card. We Do Not Accept Gift Cards from other websites. State and Local Taxes are not included in our rates. They will be applied to the final bill. For security purposes, to cancel or change your reservation with us, you must call us directly. We can be reached by calling (618) 833-2377 between 10 a.m. and 9 p.m.
We have a small Inn and our reservations are our only source of income. Unlike a hotel, each of our rooms are different, and we reserve a specific room(s) for you and your party. A fifty percent deposit per room, payable either by credit card or existing gift certificate, will be collected at time of reservation. We understand that plans do sometimes change. Outright deposit refunds are NOT allowed (No Exceptions). We will gladly apply your deposit to a new date, or issue a gift certificate, providing the request is made more than 14 days prior to the date of arrival. If the request is made 14 days or less prior to the arrival date, a gift certificate for the deposit amount will be provided ONLY if the specific room is rebooked for the date of your reservation. However, if the room is not booked or you do not honor you reservation (No Show), your deposit will be forfeited. No refunds will be made for early departures. No smoking (or vaping) inside the building nor on the deck! Smoking/vaping is allowed outside and away from the deck and building. A $100.00 charge will be added to your bill or credit card if this policy is abused. Owners have all rights to change your suite to another if the need arises. The inn’s quiet hours are 10:30 pm - 7 am daily. Please be respectful of other guests during this time by keeping hallway noise to a minimum, lowering your TV volume and keeping your suite door shut. The Gym and Stage are closed after 10:30 pm. We are an energy friendly inn. We ask that suite doors remain shut to keep air or heat in your suite, and we ask that you turn off unnecessary lights. A 50 percent deposit is collected at the time of purchase. Payment for gift certificates is collected at the time of purchase.